Every PPO practice faces a common struggle. A patient comes in for an exam, and you immediately notice a few things they need to get their mouth to full health. You explain the issues to them and all the benefits of moving forward with treatment. 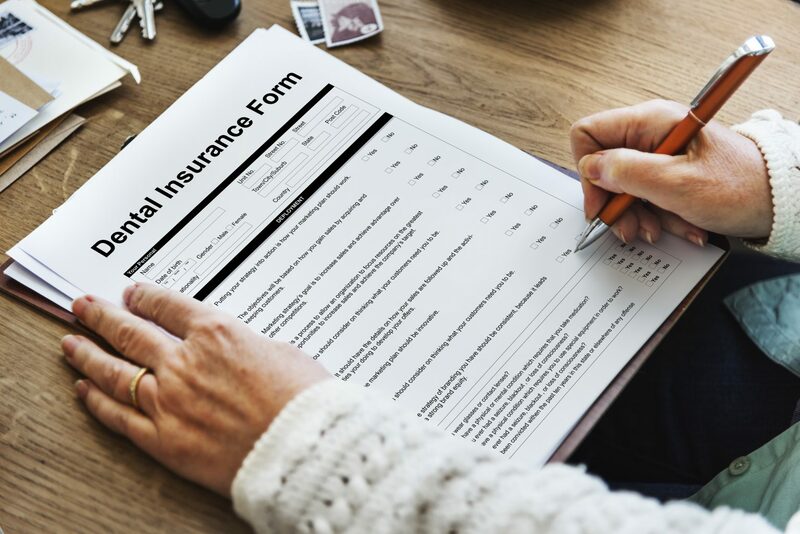 Yet because of all the insurance company complications, the patient wants to be sure their insurance covers the procedure before moving forward. They want to know how much they will need to pay out-of-pocket. They want no surprises. 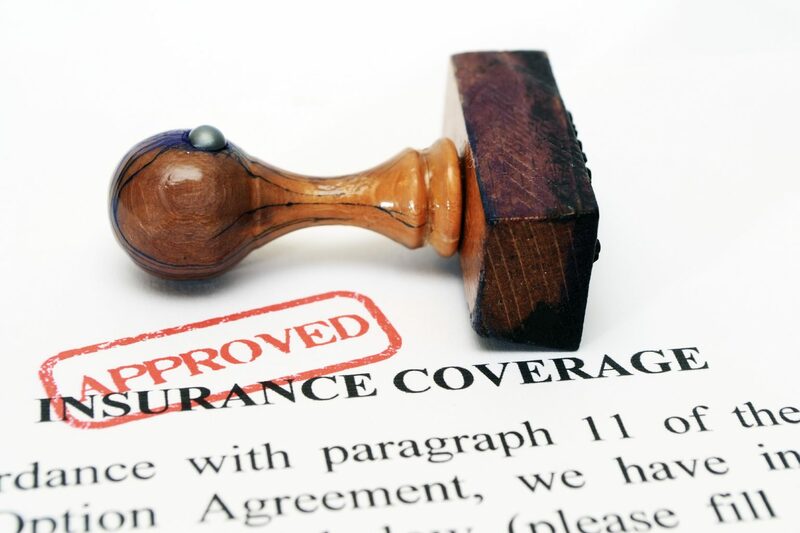 If insurance will not cover the procedure, they hesitate or choose not to move forward at all. It is understandable, of course. Patients work hard for their money just like we do. But with insurance being so complicated, patients often let large chunks of benefits expire at the end of the year. That is why end-of-year benefit promotions can be so effective. What if it did not have to be that way? What if we could put systems in place to maximize insurance benefits so our patients can move forward with confidence? I spoke with Vivek Kinra of PPO Profits about this very issue in the Nifty Thrifty Dentists Facebook community. Vivek shared specific steps practices can do to maximize insurance benefits. When you take these steps, patients are more likely to move forward with their treatment plan. They get better care from you. They let fewer benefits expire. And you get to perform more procedures and earn more profits. Here is how to maximize insurance benefits in your practice. Collect patient forms online before appointments. If you collect forms when patients come in, you or your team sometimes only have a few seconds or minutes to review them. Collecting them before patients come in gives you much more time to check each patient’s insurance coverage. Make sure patients complete their forms before they come in. Customize your patient forms to identify coverage issues and opportunities. Customize your patient forms to ask specific questions that help you spot health issues and check coverage ahead of time. Ask very direct questions. For example, Vivek’s forms ask patients whether they think they grind their teeth. If someone says they do, his insurance coordinator checks for night guard coverage. Informing patients about their night guard coverage at the time of the appointment gets more people to move forward with the guards they need. This can help increase case acceptance dramatically almost overnight. Make sure everyone has access to coverage information and limitations. Enter all relevant information into treatment plans or insurance notes so everyone knows what is covered for each patient. For example, make sure you know whether someone has a frequency limitation on a procedure. Mark it on their chart. This way, you can schedule confidently knowing it will be covered when performed. Another example of relevant insurance coverage notes is fluoride for adults. Many people assume fluoride is not covered for adults. If someone’s insurance does cover it, note it in their file. That way you can offer it to patients and let them know their insurance will cover the cost. Address coverage issues during your morning huddle. Talking through coverage issues at your morning huddle helps everyone get on the same page. If a patient who grinds their teeth has coverage for a night guard, make sure your team knows. It is much easier to get treatment plan acceptance if you can tell your patient what their insurance covers ahead of time. Your morning huddle is a perfect time to highlight relevant insurance issues. Strengthen your claims before submitting them. What happens when you need a pre-authorization to move forward, but a patient is in pain and needs care right away? If you move forward, your claim could be denied. In that case, you risk having to write off the procedure or risk sending an unexpected bill to the patient and getting a bad review. Have the patient sign the form and attach it as part of a claim. The claim will be much more likely to get paid that way, says Vivek. Follow up with carriers after submitting claims. Have your team call to check on claims two or three days after submitting them. Electronic systems are imperfect. Things get lost or fall through the cracks. Following up with carriers about whether the claim was received helps avoid delays. If you need to resend a claim, call two or three days later to check on it again. Repeat the process until you know your claim was received and you get paid. Maximize insurance and everyone wins. Creating systems and processes designed to maximize insurance coverage is one of the best ways to care for your patients. Once the systems are in place, it becomes second nature to your practice and creates massive efficiencies. And everyone wins. Your patients win because they can maximize the insurance benefits they pay for to get the care they need. You and your team benefit because you get increased case acceptance. You can increase profits without needing to constantly serve more and more patients. The list goes on. 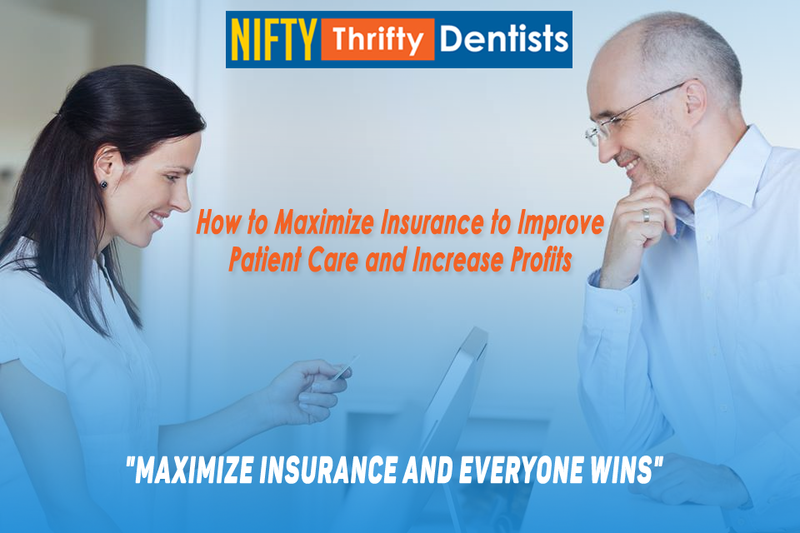 If you want help maximizing insurance benefits, keep the conversation going in the Nifty Thrifty Dentists Facebook community. There, you can ask questions and share your experiences with thousands of other dental professionals. Follow the link to a Nifty Thrifty Deal!